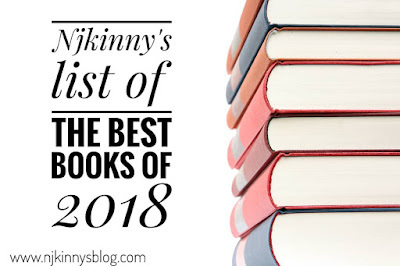 Guardian Angel by Ruchi Singh is another book that had me enthralled throughout and has made it to Njkinny's List of The Best Books of 2018. Read more about my reasons in this post. I read and absolutely loved the first book in Undercover series, The Bodyguard and was eager to read Nikhil Mahajan's story. Nikhil is the friend and security in-charge of famous Industrialist, Vikram Seth Jr. During one of his meetings with an informant, he is caught in a bomb blast and captured by unknown people. Injured, disoriented and blindfolded, he wakes up in an unknown place with no way out. Taken care of by a woman who refuses to give away anything, he is truly caught. But then his mysterious nurse takes upon herself to get him to safety amidst the real danger of getting caught by terrorists who don't differentiate between friend and foe; and a terrain that is harsh and as unforgiving as the people they are fleeing. I loved the thrill, the overall feel of impending danger and the engaging storytelling of this book. The world building is expertly done and you can easily visualize the surroundings, the terrain and the general aura of the places. The contrast among the different places is so beautifully done that the readers will appreciate the safety and the peace of areas that are away from the terror-ridden areas. I had been intrigued and impressed by Nikhil's character in the first book and this book had me bowled over completely. I loved him so much. He is everything honorable, strong, responsible and loyal. Same goes for the heroine whose character is awe inspiring. She shows that where there is a will there is a way. Despite being under the thumb of her family, she risks everything to save a man she thinks doesn't deserve the heartless end that is being planned for him. The major part of the book is devoted to the danger of being captured and then the rescue. Only in the later part does the protagonists give voice to their true feelings for each other which should have been a letdown but surprisingly didn't trouble me much. I sat at the edge of my seat throughout, totally invested in the story and praying hard for their safety. Every scene seems so real that I had goosebumps reading the story! I enjoyed everything about this crisply and fluidly written book with only a small complaint that more page space should have been given to developing the after-danger romance of the protagonists. I was left feeling a little dissatisfied. Can't disclose everything but I wanted to see the first meeting of the heroine with the hero's family, his friends and the stable HEA that satisfied my hopelessly romantic heart. Anyway, all in all, Guardian Angel is another great book by Ruchi Singh that will keep you engaged and living each scene of the story. 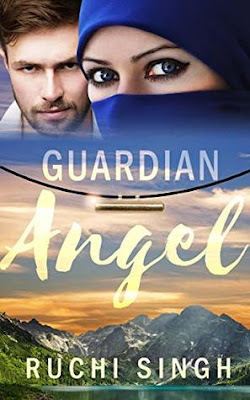 Had the ending been more satisfactory I would have definitely given this book full on blazing 5 stars but for now it is 4 super shiny stars out of 5 to it from my side and Njkinny recommends Guardian Angel to all romantic suspense lovers. I enjoyed the action, world-building, characterization and the twists and turns so much that despite a little dissatisfaction at the end, I felt this book has earned its place in Njkinny's List of The Best Books of 2018 Go grab it to read now and enjoy!